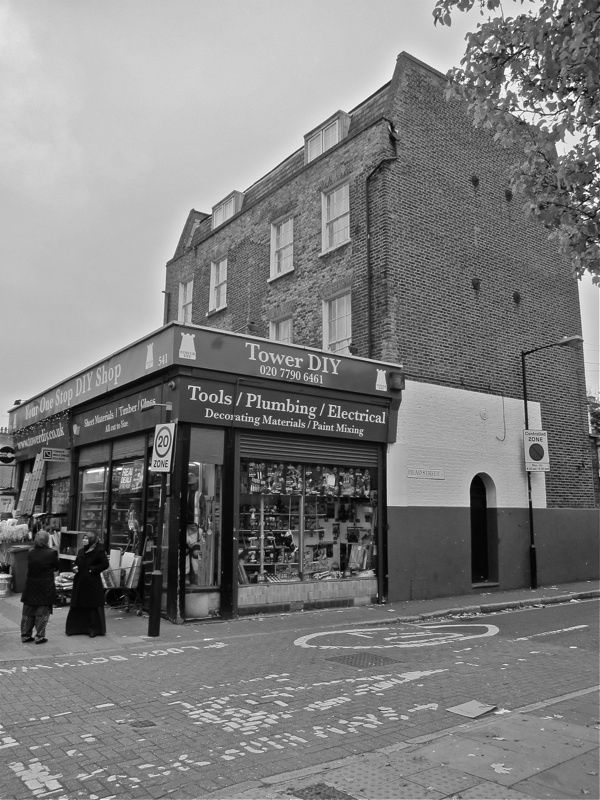 In spite of the bombing, the slum clearances and redevelopments, the East End is still with us. My recent visit to Fred Wright, who has lived his entire life in the vicinity of Arbour Sq, inspired me to take a stroll with my camera around the surrounding streets that comprise his home territory. 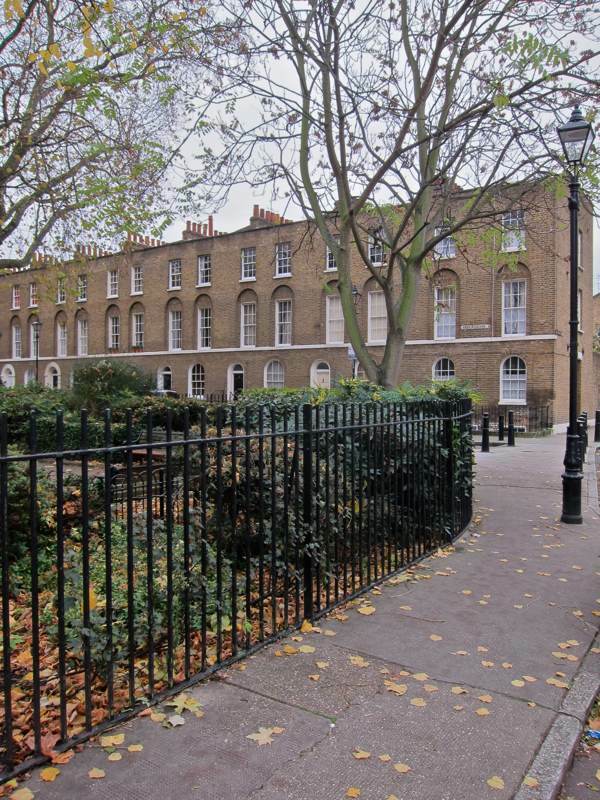 In Stepney, there is an entire quarter of early nineteenth century terraces and squares that have survived the changes of the twentieth century. 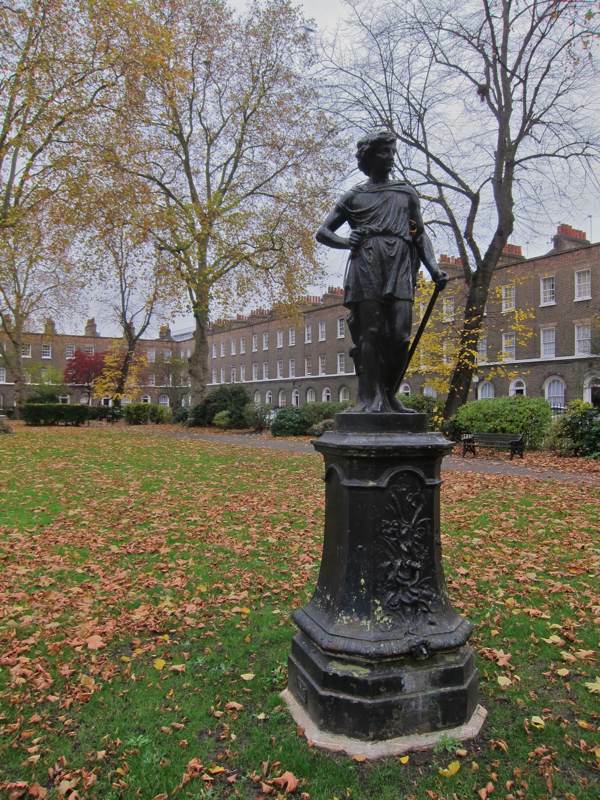 They are magnificent examples of the human quality of streetscape that is cherished by East Enders, and also plangent reminders of what has been lost. 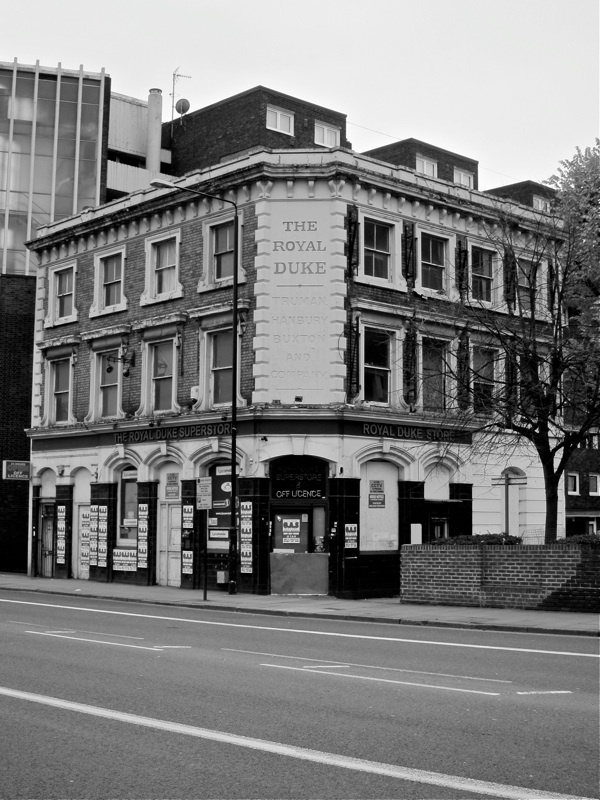 Who will rescue The Royal Duke, 474 Commercial Rd, designed by W.E. Williams, 1879? Back in the very early 1970s, I did a teaching practice at Senrab Street Primary School (now Marian Richardson PS). You may know this, but “Senrab” is Barnes spelt backwards. 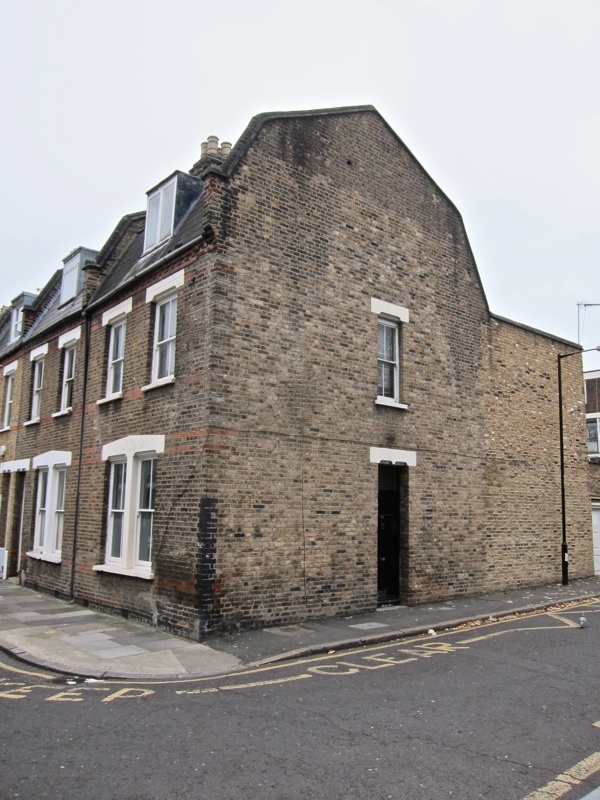 The Barnes family were local builders who contracted with the Mercers Company to develop the latter’s land holdings on either side of Commercial Road. I’ve never forgotten the students in that school. I started my stint there with a stroke of luck: half my class of 9 year olds was gone away, on the annual school trip to a seaside town. As a result, I had roughly 20 or so little pupils in the too-small classroom, instead of the usual 40. When the full class was reassembled, the kids at the back of the room literally had to climb over desks to reach the blackboard, but by then I was, I suppose, bonded with half the class ~ I certainly don’t recall any discipline problems despite the overcrowding. I used to live in Stepney between 1980 and 2004 an elderly lady from Stepney once told me that when she was young she had lived in Barnes Street and her entire family including her parents and sister and brother in law and I think some children had been killed in Barnes Street when their house was bombed during WW2. She told me half the street was rebuilt after the war and they renamed that part of the Street Senrab St which is Barnes St backwards. 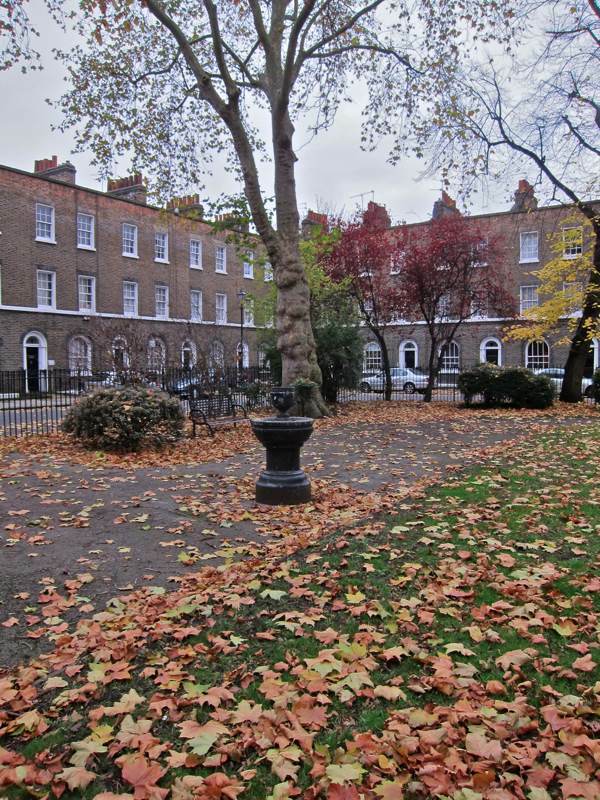 I also had a friend who live next to Albert Gardens in the contrasting very modern ugly council estate. She told me that her council estate had been built where an ophanage had once stood, it may have been a Barnardo home? My friend said she had some pychic abilities that run in her family and she claimed that sometimes she had seen ghostly children running through her living room and in her hall. I loved these pictures. 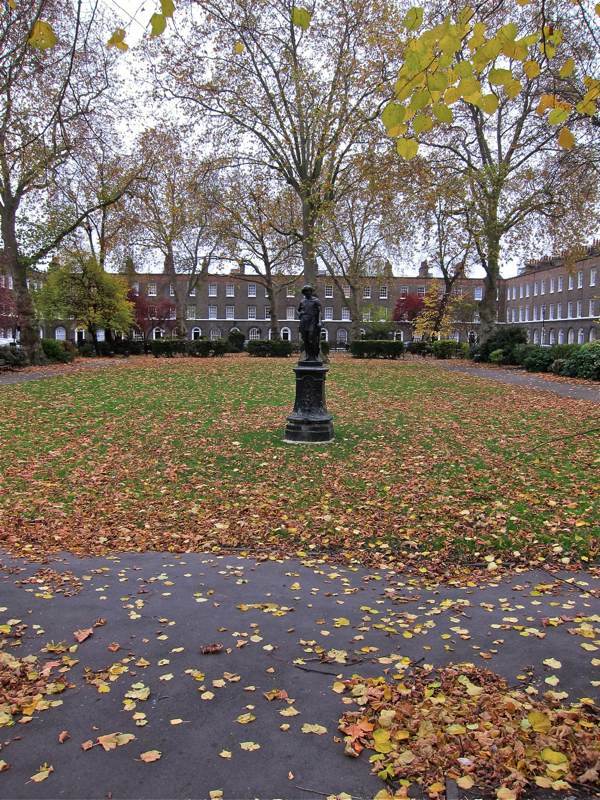 I was deep in Spitalfields – metaphorically – when I came across them so they chimed beautifully. 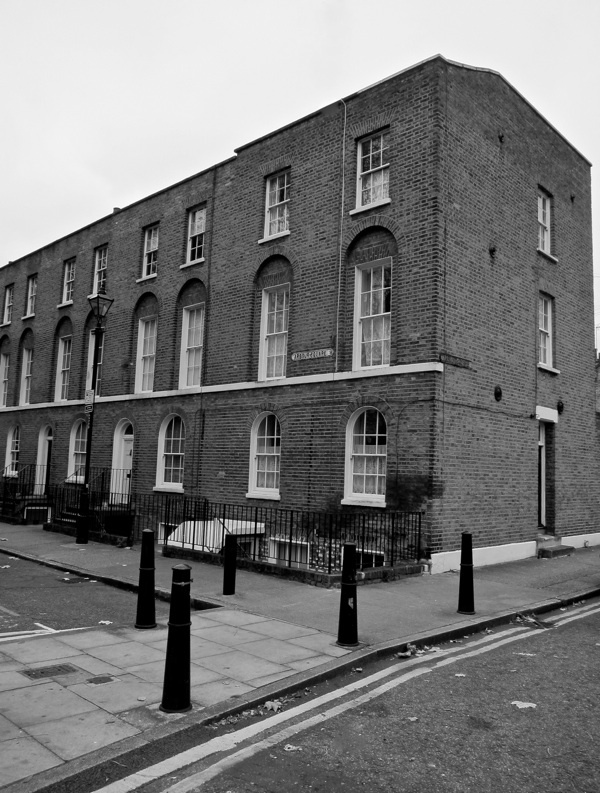 My current heroine comes from the district and strangely, was brought up in an orphanage in Spitalfields in the 1920s/1930s. I wonder if it was the same one as Belinda mentions?! Lovely! It’s a shame that there is so much demolition and ugly rebuilding. 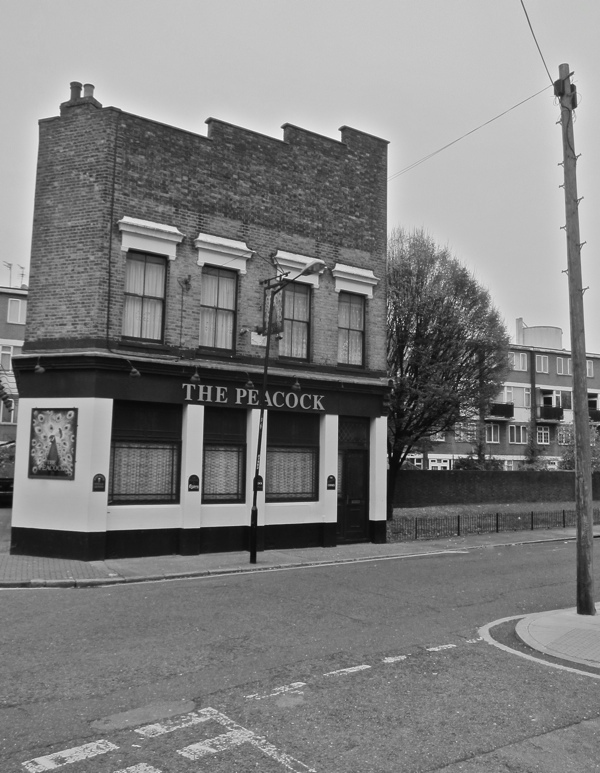 It’s good to see that some of the East End is still standing proud and beautiful. 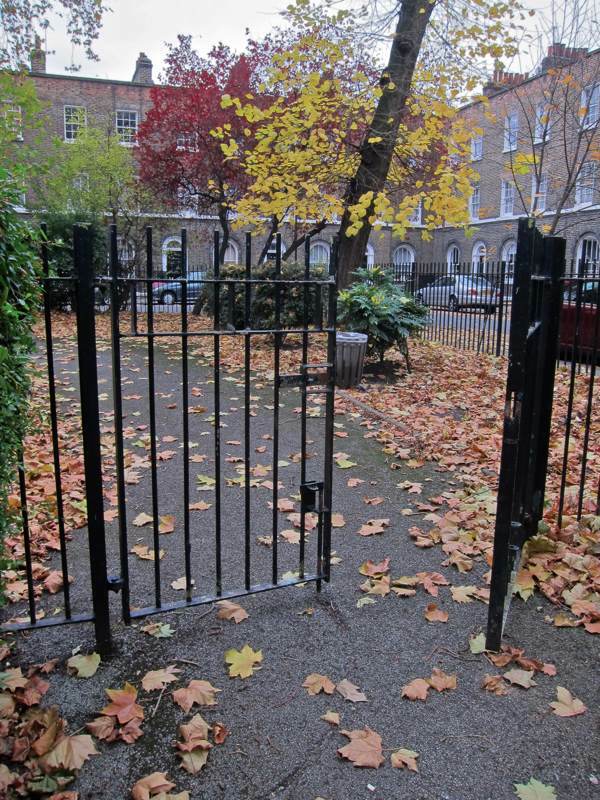 Unfortunately so much green space, to some eyes, is a wasted opportunity for making money. The East End Preservation Society will have a lot of fights ahead to conserve areas like this. Sincerely, good luck! My grandad sister work on arbour square police station as a cook and cleaner into her late 70 ..
Splendid photos, Gentle Author; astonishing that you have been snapping for only a few years because your eye for compositions is fully mature. 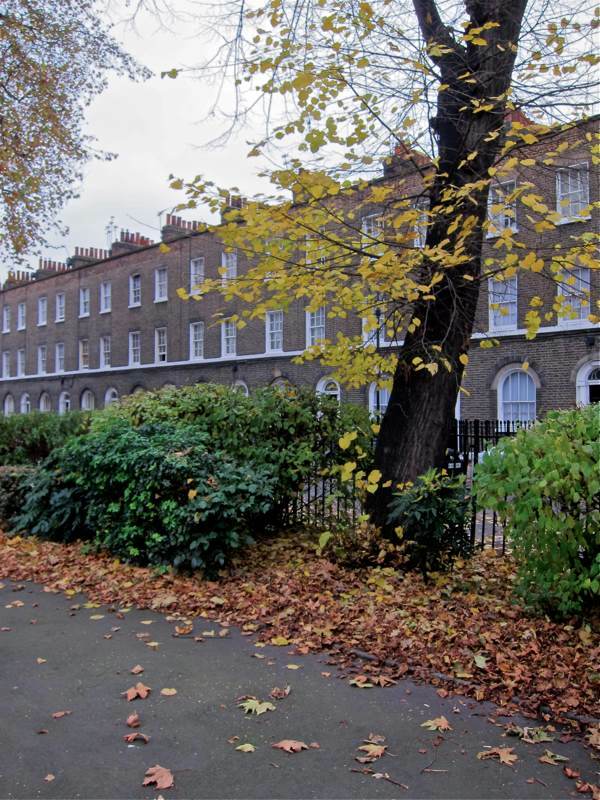 Love the dignified reserve of the terraced streets, the half-bare trees and leaves on the ground. 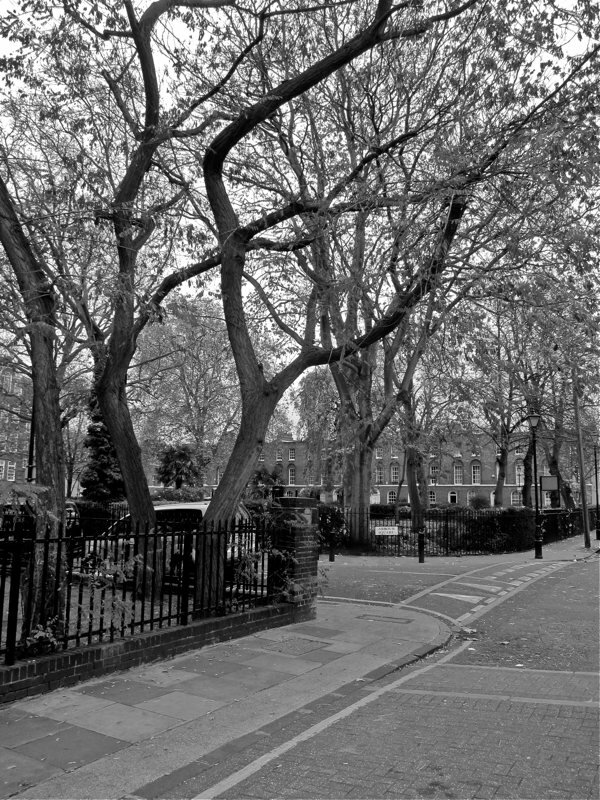 I periodically wander those areas with my camera; Albert Gardens is a little gem. My grandfather, great-grandfather and great-great-grandfather all lived round here and died here, and so did previous generations on the other side of my family. Not one of the houses they lived in is left, thanks to ‘slum clearance’, and their children were forced to move away. I sometimes walk round these little remnants of their community that they had so many good stories of and try to imagine it as it was, fill in the blighted gaps. It’s a mercy that some of it has survived, but it should have been more. I am writing a book based on the connections between people and places that have been coincidentally of much impact in my life. 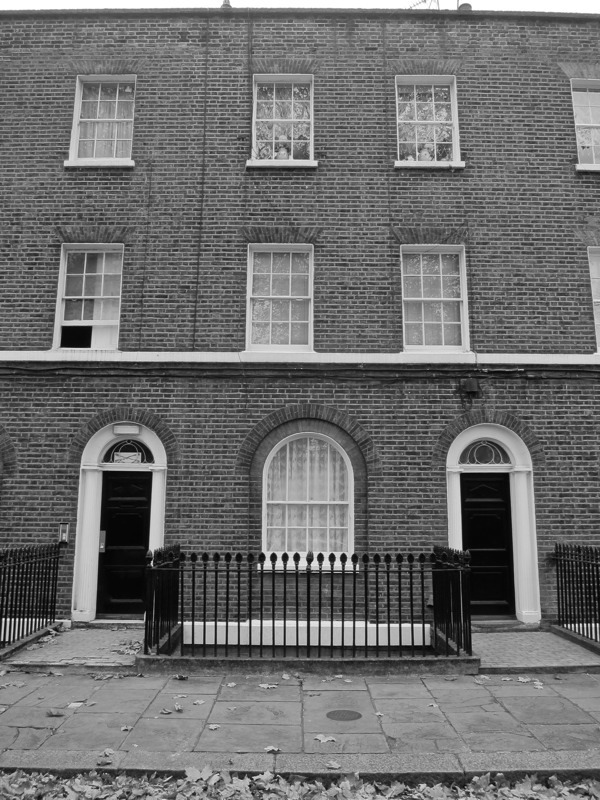 In seeking material relating to my past, I came across this wonderful photo gallery that actually shows the house where I was born in Albert Gardens (at that time Albert Square) just across the street from the “water spout”. I left there when I was 3 years old. Might I have permission to reproduce 2 or 3 of the pictures as an appendix to my book, giving full credit to provenance, of course. Congratulations on a wonderful evocative study. My late mum went to senrab street school. She told me once she was punished for talking in class by being sat in a dustbin in the middle of the school hall. Didn’t stop her from talking! My great grandmother, Julia Reece, who was an 18 year old cigar maker, lived at 16 Albert Square with her parents John and Johanna in 1881. She married Robert Cloudy from Pennington Street in 1882. Thankyou for such great photos. 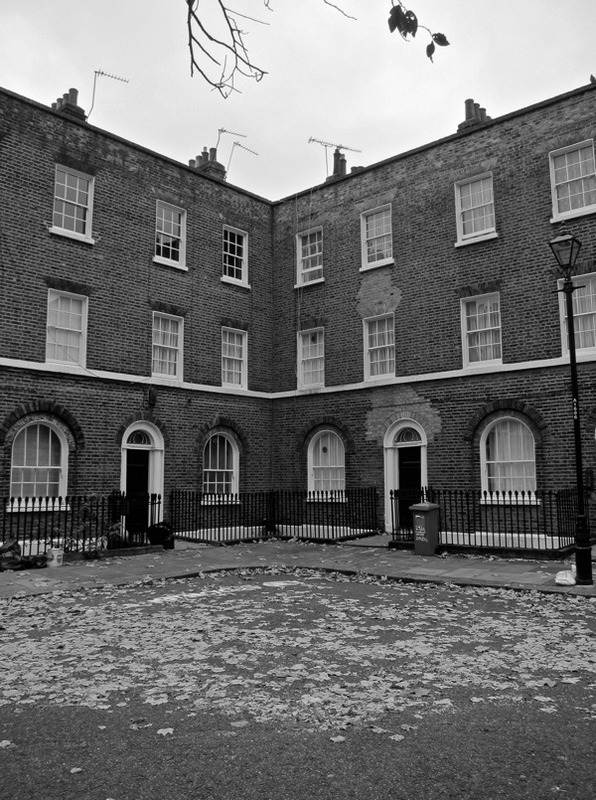 Its good to see that the houses survived, although much gentrified from the time they were living there. My mother-in-law went to Senrab Street School and lived on Heath Street (name has changed to Head Street. At the age of 7, she was taken in by an ‘Aunt’ & moved to Old Church Road as otherwise she was going to have to go to the Barnardos home. I wonder if this is the orphanage that Belinda mentioned in her comments? Although she thinks the Barnardos home was on Commercial Road. 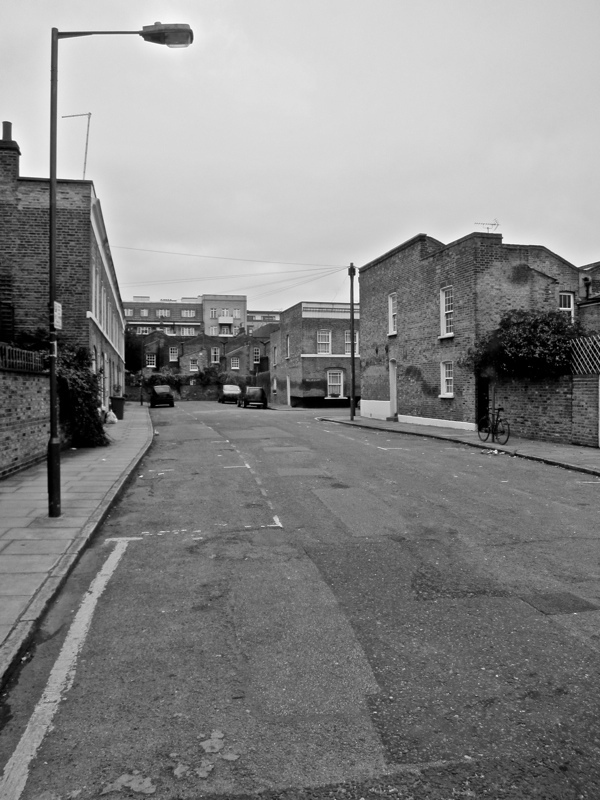 The day she moved from Heath Street was the last time she saw her brother, George Blake. Her name was Aida Margaret Blake. 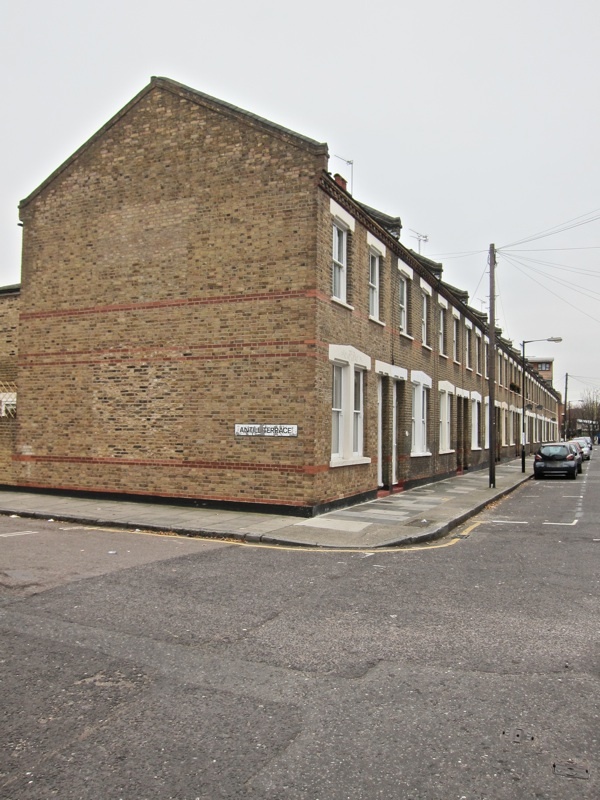 Aylward Street was named after my family, they lived at 62 White Horse Road Stepney. as councillors and mayor/ mayoress on many occasions. My Grandfather was a founder member of the Limehouse Labour Party and introduced a young Clement Atlee to politics in the late twenties early thirties. Atlee went on to be PM after the second world war. Wow, having been born and bred in stepney just round corner from where the picks have been taken its some what of a culture shock! Never could imagine how things looked during the 90s as I’m only turning 21. Marion Richardson is obviously one of London’s finest primary schools with great teachers. But with such great history it is sad to see Stepney has become more hostile in recent years its not like how it was back then. You could call it the slums; Drugs, Violence, Stabbings, Gangs, the list goes on. I lived in the house shown opposite Marion Richardson School (74 Senrab Street) from 1956 to 1983. Happy memories of that area. I lived at 35 aylward st 1950 to 1960 and I went to senrab st school from 1955 to 1960 and I help the milk man around is area in 1959 / 1960 and played in Albert square and the police flats and aylward st and I married my wife Pauline who lived around the corner in Exmouth st in 1970. What a good time we had the house’s my have been old but the people were good . What an eye opener. I lived in a prefab at King John Street, Stepney, close to St. Dunstan Church, that area is now an inner city Farm. 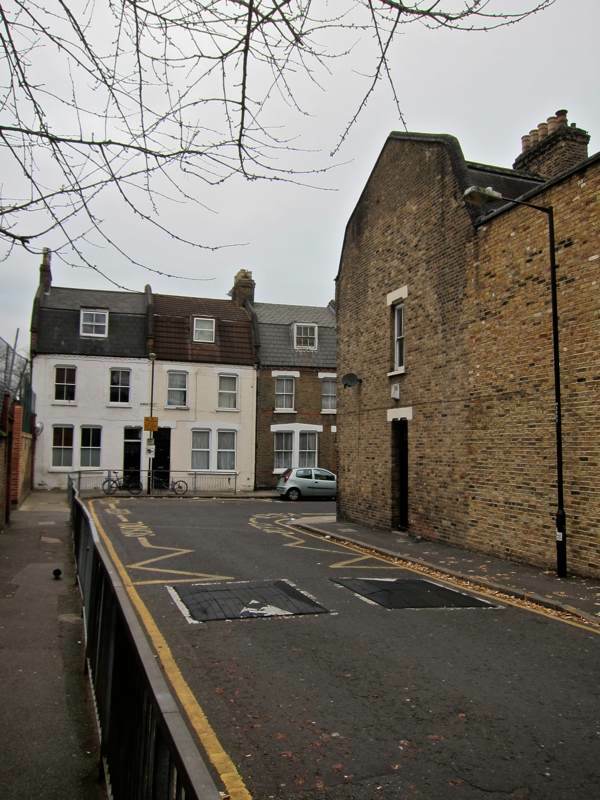 I was born in the East London Maternity Hospital in 1948 and with my two brothers attended Senrab Street school.Our prefab was built on a bomb site and some of the walls including the fireplaces formed the boundaries of the properties. 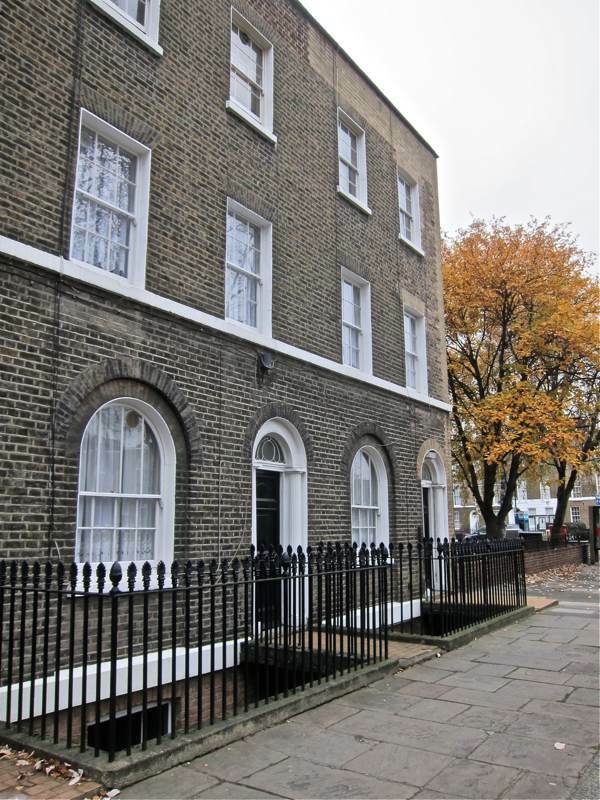 My Mother and Fathers house in Wapping like so many others was destroyed by an incendiary bomb they were delighted to get a prefab, two bedrooms, a garden, inside lav, a copper, enough room for a chicken coup and so on. At the bottom of our street there was a terrace of Georgian houses since taken down to be replaced by the Farm. Many thanks to our teachers at the school, Mr. Bernstein, Ms. Smith and the names escape me. 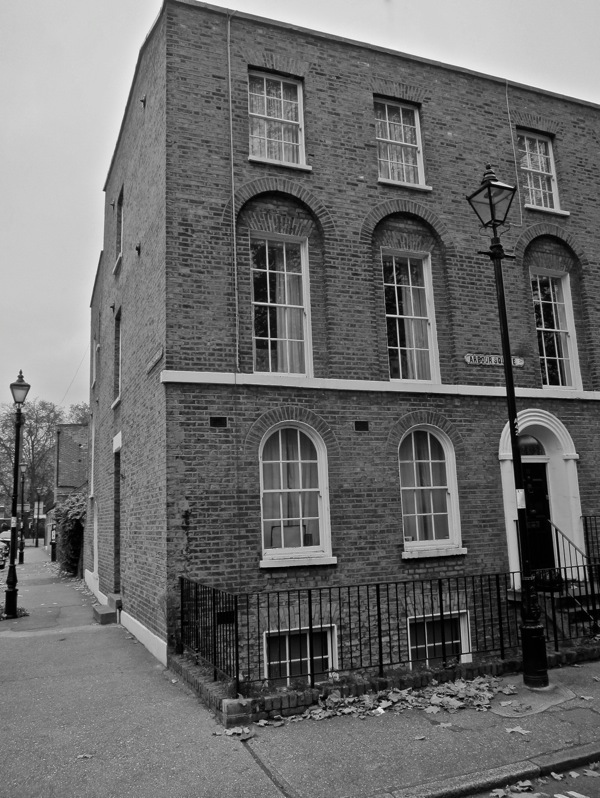 In 1953 my family moved into 16 Camdenhurst Street E14. We lived there for about 10 years. Subsequently the whole street was demolished. We had family in Matlock Street and lots in Senrab Street. My brother, sister and I all went to Marion Richardson school (it was always known by this name after the lady who introduced handwriting without loops, it was never called Senrab Street School) during the 50s and 60s. Our mother, Mrs CAIN, worked at the school for nearly 30 years, first as a welfare assistant and then, after studying, became a teacher ending up as Head of Infants before retiring in 1983. We lived next door to the school in a flat above the shop G.S. Fish, which later became Tower DIY. Our father worked for Mr Fish from leaving school in about 1922 until he retired, apart from a break for the war. We were all pleased to see the pictures on this site which brought back lots of memories. I stand corrected, Marion Richardson School was indeed originally called Senrab Street School but try as I might I cannot find out when the name was changed. 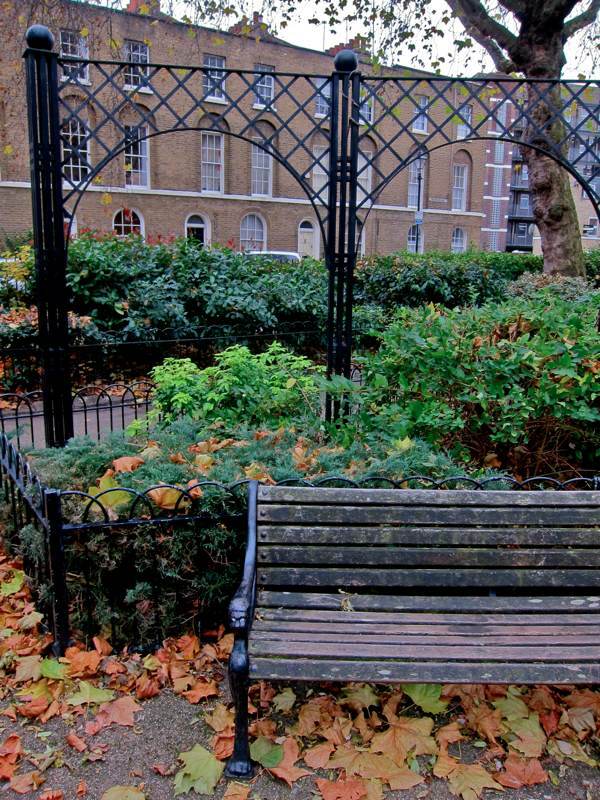 Tony Mersh – are you relatied to George Mersh who lived in Stepney Green? If so, he was good friends with my dad, Danny Buckle. We lived in King John Street. Andrew Sculthorp – did you live next door to the Reeds. 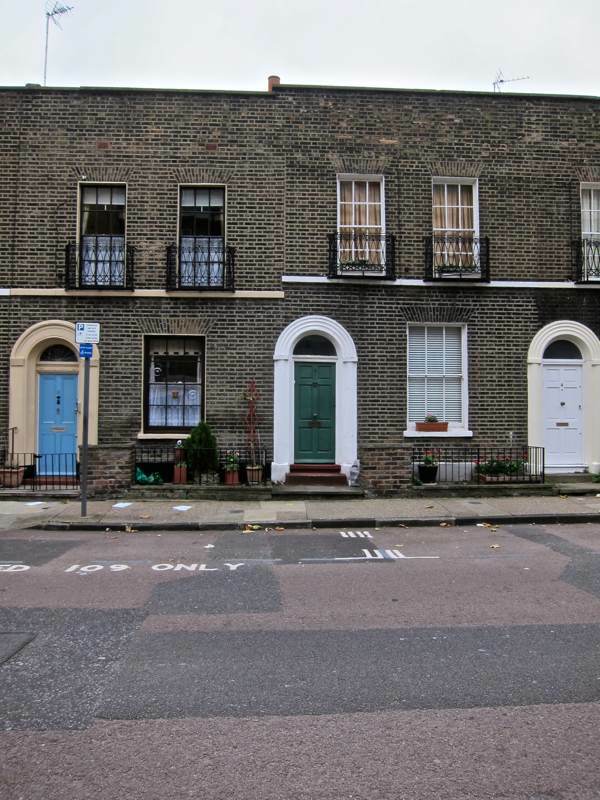 I also lived in King John Street, until we all had to leave in 1970, in one of the row of four houses. If I remember correctly you have a brother?